Thank You For Choosing Lost Mitsubishi Keys Replacement For All Your Mitsubishi Car Keys, Remotes, Fobs, Push to Start Buttons Replacement & Ignition Problems. Give Us a Call 24/7 and Get 10% Off All Mitsubishi Lost Car Keys Replacement! Order Mitsubishi Keys Online from Amazon! 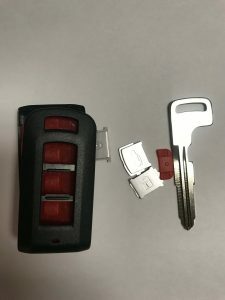 We specialize in making replacement car keys for Mitsubishi cars when you don’t have a spare, need a remote fob key, duplicate smart key, ignition repair, replaced and more. We deal with all Mitsubishi models, including Mitsubishi 3000GT, Diamante, Eclipse, Endeavor, Evolution, Galant, i-MiEV, Lancer, Mirage, Montero, Outlander and more(Click to see complete list). 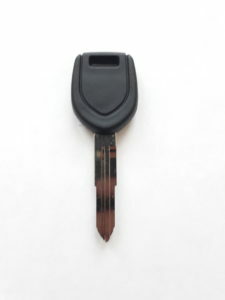 Lost my Mitsubishi key – Now what? What should I do? Mitsubishi key replacement – What type of key I had? Is programming needed? How long does it take to get a replacement key for Mitsubishi cars? My Mitsubishi ignition key won’t turn, what is the reason? My Mitsubishi ignition key won’t start the car, what may be the reason? How to program a new Mitsubishi key without the original? What is the procedure? Can I do it myself? What are the average cost of a programming a new key and a duplicate? Can I use my insurance coverage to pay for my Mitsubishi key replacement? – Useful information that can help you save money! In addition, if you decided to call an automotive locksmith for Mitsubishi cars, remember to provide the exact year, make and model, e.g. 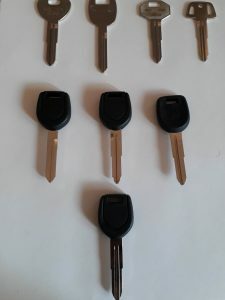 “I lost my 2015 Mitsubishi Lancer car key, 2011 Mitsubishi Outlander, 2013 Mitsubishi Evolution, 2015 Mitsubishi Mirage” etc. This is important so the locksmith will know he or she has the right key blank. Furthermore, always ask if the key needs to be programmed, i.e Lost Mitsubishi key fob or 2013 Mitsubishi Lancer needs to be programmed, whereas 1997 Mitsubishi Eclipse doesn’t. In case you need a new ignition, make sure you tried getting a new key first. Changing the ignition for Mitsubishi cars is more expensive and it will result in a different key for the doors and ignition. Moreover, before calling the dealer to get a replacement Mitsubishi key, ask if you can pick up the new key, or have to tow the car there. 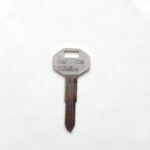 Q: Mitsubishi key replacement cost – How much does it cost to replace Mitsubishi key without the original? What is the average price? The type of key you had and the year the car was manufactured are maybe the most important factors. (chip, intelligent fob, “push to start”, remote, regular “non-transponder” key). The newer the car is, the better security features the key had and therefore you can expect to pay more than $250 for a replacement key. Choose your Mitsubishi model(from the drop-down menu) and type of key you had for a more accurate price and information. Finally, in case your Mitsubishi ignition cylinder was changed before (usually with older cars), that probably means that the code for the key may not be useful and the key will have to be either cut manually by a locksmith or to change the ignition again which in this case the dealer can’t be of help. Q: I need a 2015 Mitsubishi Lancer ignition car key replacement. 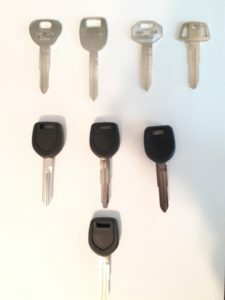 What should I do and how can I get a duplicate car key made without the original? A: We can help you with that. We offer fast mobile, on-site replacement car, remotes & push to start fobs and duplicate key for all Mitsubishi car keys. In addition, we can program those keys as well. Alternatively, you can call a Mitsubishi dealer. However, in case the key needs to be programmed, the car will have to be towed there which may result in a higher price. Q: How long does it take to make a replacement push to start key for 2014 Mitsubishi Outlander? I lost my original, have no spare and need a duplicate “push to start” car key made. Do you offer automotive locksmith services for Mitsubishi cars? A: Generally speaking, for a new Mitsubishi key or fob, the process should take between one hour to two, depends on the year make and model of the car. In addition, when codes are available, this process is even faster. Moreover, we offer complete automotive locksmith services for all Mitsubishi models including Emergency lockout service, car keys replacement, ignition repair and more. Q: How can I know if my 2013 Mitsubishi Evolution fob car key had a chip in it? I understand that some keys need to be programmed and some do not? Hence, in case you lost your Mitsubishi key and the key had a chip in it, it will have to be programmed on site in order to start the car. An automotive locksmith for Mitsubishi keys replacement can do that on site. Alternatively, you can contact the dealer, but the car will have to be towed there. Below, Mitsubishi car key that has a transponder chip in it and therefore NEEDS to be programmed. The chip is located inside the cover at the top. Below, car key that doesn’t have a chip in it and therefore DOESN’T NEED to be programmed. Simple metal key. Q: I Lost my 2014 Mitsubishi i-MiEV “push to start” remote car key fob and have no spare or AAA. Can an automotive locksmith make a replacement Mitsubishi key on site or do I have to tow the car to the dealer? Can you do the programming as well for Mitsubishi cars? A: Sure, an automotive locksmith can make a replacement key or fob for Mitsubishi cars. However, not all automotive locksmiths have the necessary equipment to cut and program the key and therefore it would be wise to verify with the locksmith he can cut and program the key. We can cut and program replacement Mitsubishi keys for all models, including copies and duplicate keys. Please call us anytime. Q: My 2005 Mitsubishi Galant ignition key won’t turn, what is the reason and can you change my ignition for me? A: There may be a few reasons why the ignition key won’t turn. Worn out key, stuck, rusted ignition or broken wafers. An automotive locksmith for Mitsubishi cars can determine the reason on site and solution. We can help you with that. In addition, in case you lost your Mitsubishi ignition key, please remember that in most cases, there is no need to change the ignition. Q: My 2011 Mitsubishi Lancer transponder key will not start the car. The battery is good, the lights are on and the radio works. What may be the reason? Q: Do you make duplicate ignition car keys with a chip for 2006 Mitsubishi Eclipse? I lost my only set of remote car keys and therefore I need a locksmith for Mitsubishi cars or key maker near me. A: Yes. We can make replacement car keys and fobs to all Mitsubishi models. In addition, we provide mobile service at your location. Please call us for immediate assistance. Q: I lost my only set of car keys for my 2005 Mitsubishi Endeavor and therefore I need Locksmith for Mitsubishi cars. 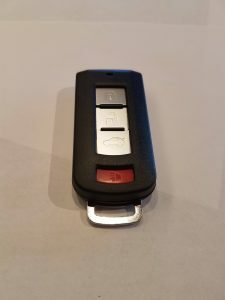 I wanted to know how and is it possible to make a duplicate car key fob or remote without the original? A: Yes. 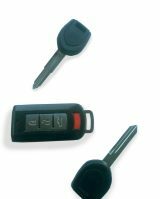 We can make replacement car keys and fobs for all Mitsubishi models, including duplicate keys without the original. Moreover, we can unlock the car for you as well. Please call us for immediate assistance. Q: How can I get a replacement chip ignition car key for my 2004 Mitsubishi Diamante? I lost only my car keys and have no spare. In addition, does it cost more to unlock the car as well? A: You have a few options. First, to call an automotive locksmith who specializes in Mitsubishi car keys replacement. In addition, There should not be any extra charge to unlock the door if we make a new car key for you. The second option is to tow the car to the dealer. Finally, you can order the key online. Please remember that unlocking the door for you while making a new car key is free of charge. Please call us for more information. Q: Can you explain why there is a difference in the cost of replacement keys between Mitsubishi models? What would be the price for a newer model at the dealer VS an automotive locksmith? Therefore, you should expect to pay more than the dealer would charge. Q: I called my Mitsubishi dealer as I need a replacement key for my 1998 Mitsubishi 3000GT. A: Yes. Mitsubishi dealers, like other car brand dealer, use a code to cut a replacement key. These type of codes are available only for limited years, usually about 10 years or so. Therefore, if your Mitsubishi model is older than ten years ago, you may have a problem of getting a replacement key from the dealer. In this case, an automotive locksmith would be your best option. The estimated cost should be around $135. Mitsubishi 3000GT, Diamante, Eclipse, Endeavor, Expo, Fuso Truck, Galant, i-MiEV, Lancer, Mirage, Montero, Outlander, Pickup Truck, Precis, Raider, RVR, Sigma, Cordia, Starion, Tredia, Van Wagon. 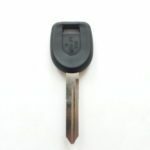 Lost Mitsubishi Keys Replacement – All Mitsubishi Car Keys, “Push to Start” Remotes, Fobs & More Made Fast On Site!